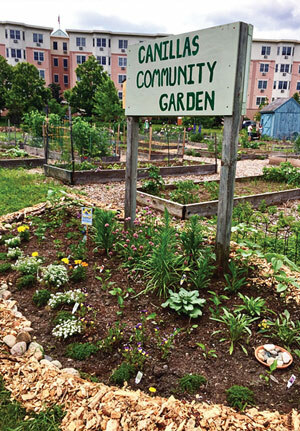 Tucked behind a downtown Lebanon playing field, the Canillas Community Garden is a bustling hub for longtime residents as well as Lebanon’s growing international community. The garden’s visionary founders are preparing to celebrate 10 years of success in ‘sowing the seeds’ for how to cultivate healthy soil, grow organic vegetables, and share wisdom and knowledge with the next generation of gardeners. 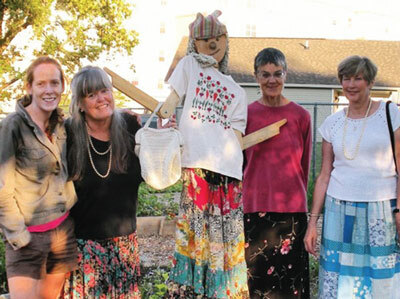 Pat McGovern, Helen Brody, Polly Gould, and Cherry Angell are the current coordinators of the Canillas Community Garden. Three of the team are founders, and have observed firsthand the evolution of the garden from its modest beginnings with seven raised beds and a spiral garden to an important community gathering place and educational collective with 35 beds and a reputation for innovation and welcoming gardeners of all ages and abilities. The garden is a shining example of a before and after success story. Located on what was formerly a dump site, early efforts to prepare the soil for the future gardens yielded some unwelcome surprises like rusted metal, glass and pottery shards and leaded soil. These findings led to a raised bed model, which involved trucking in tons of good soil and mulch to establish the beds and pathways rather than digging down into the existing soil. 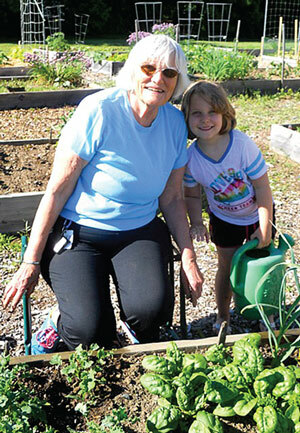 With support from the Carter Community Building Association which owns the land, Mascoma Savings Bank Foundation, Upper Valley HEAL, the Unitarian Church, and many hours of volunteer labor, the garden was born in 2009. Co-founder Polly Gould points to the reasons she continues to be involved. “I don’t like meetings,” says Polly. “But I saw that there were fun things to do in a group, and I enjoy the social aspects of the garden.” Polly and her husband Frank designed and installed the ‘spiral garden’, which appeals to both children and adults, but in different ways. “Adults don’t have the same sense of how to use the spiral garden as children do. The children weave in and out of the spiral, exploring freely, touching and smelling the flowers,” says Polly. 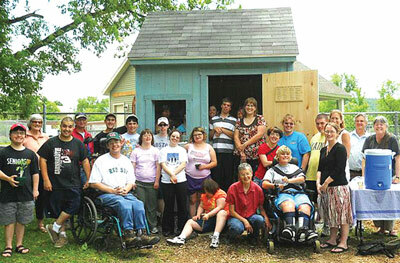 The Canillas Community Garden’s ‘voice’ extends into mutually beneficial partnerships with local organizations including students from the Regional Resource Center at Hartford High School who helped build a storage shed after a wheelbarrow left outside became a makeshift home for a mother duck and her chicks. Last summer, volunteers began the installation of a Mascoma Greenway pocket park pollinator garden behind Goss Logan Insurance, and two ‘easy access’ raised beds have been funded by the DHMC Aging Resource Center to accommodate gardeners who need a little extra height for planting and harvesting. Last year’s Arbor Day Celebration featured refreshments and the planting of an oak and maple tree in collaboration with the City’s Recreation & Parks Department. Cherry Angell, a long-time volunteer who is at the community garden every day during the season, was brought up with the idea of giving back to the land if you take from the land. Known by many as the “Angel of the Garden”, Cherry spearheaded the new leaf mulching operation, which uses truckloads of leaves collected and delivered by the City, guaranteed not to have been sprayed. “I’ve always gardened – it’s my daily workout, and I love flowers – the irises that bloom in the spiral garden each spring are gorgeous. People bring friends to see what is going on and we give them tours.” Cherry works with gardeners who have surplus vegetables to share the bounty with visitors, which is especially important for children as they learn about how their food is grown. This spring, the children’s garden will become more edible with snow peas and cherry tomatoes, complementing several beds of decorative perennials and annuals. Author and co-founder Helen Brody, who lives at nearby Emerson Place agrees educating children is vital. 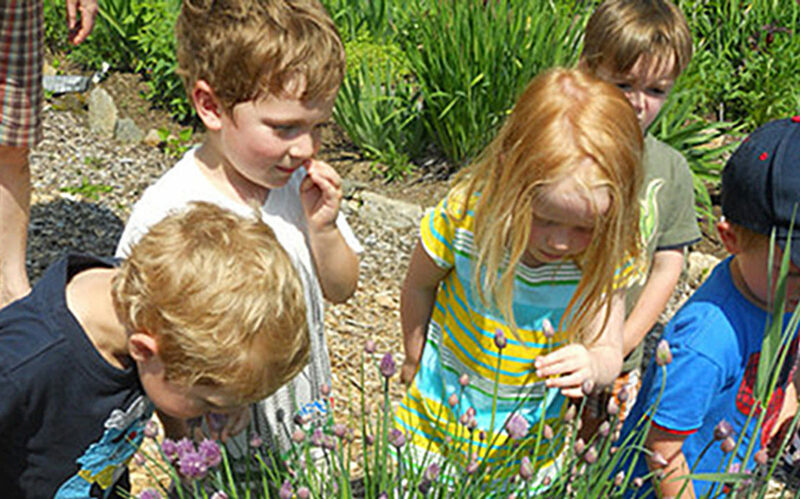 “The children’s garden is so important. I have met college students who did not know that carrots were grown in the ground,” says Helen, who is planning to install an edible children’s garden for the 2018 season. As a recipe developer, Helen is fond of sharing her favorite recipes from garden harvests, and believes that the international members of the community garden bring a rich variety of greens and unusual vegetables to the table. 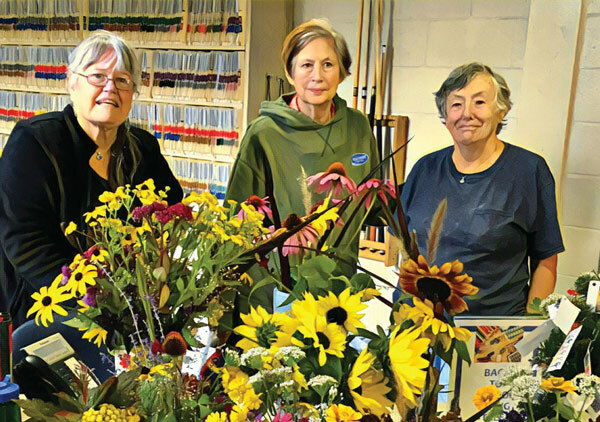 Gardeners from Mexico, India, France, Peru, Russia, China, and Korea share their cultural gardening tips, and the diversity is exciting for the native New Englanders working alongside the international members of the garden. 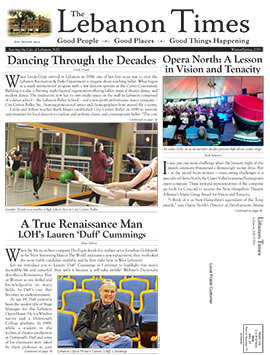 So what’s new for the spring? Building up the new ‘hugelkultur’ (German term meaning “hill culture”), with organic coffee grounds from the Lebanon Co-op, decomposing logs, brush, and leaves which act like a sponge storing rainwater until it’s needed by the plants. Last year the hugelkultur produced significant yields of winter squash, tomatoes and other crops. The gardeners will also be watching out for bees, wasps, hummingbirds, butterflies, and moths who will visit the new pollinator garden, and education of gardeners new and old will most certainly continue. Cindy Heath is a UVM Extension Master Gardener and garden designer. Exellent article! Thank you Pat McGovern, Helen Brody, Polly Gould, and Cherry Angell for all your hard and important work!